Part number: 7L5959253B. 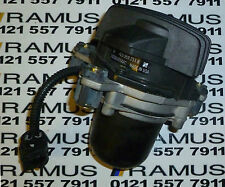 Porsche Cayenne Fuel Injection Pressure Air Pump . Does not include Island, any Channel Islands or Scotland. MAIN LAND ONLY. BOMBA COMBUSTIBLE PORSCHE BOXSTER 2.5, CAJA 56. Referencia : 99662002100. Pide el código de pieza: 103491. Desguaces La Piña te garantiza recambios originales para obtener la máxima seguridad y fiabilidad. 3.6 Carrera RS 3600cc 06.1991 09.1993 911 (993). 3.8 Carrera RS 3800cc 06.1995 09.1997 911 Cabriolet (964). 3.6 Carrera 4 3600cc 05.1989 05.1994 911 Cabriolet (993). 911 Targa (993). Bomba de gasolina eléctrica válida según fabricante. BOMBA COMBUSTIBLE PORSCHE BOXSTER 2.5. Referencia : 99662002100. Pide el código de pieza: 140094. también whatsapp. en buen estado. Nós podemos verificar isso. Wir können es überprüfen. BOMBA COMBUSTIBLE PORSCHE BOXSTER 2.5, CAJA 56. Referencia : 99662002100. Llama y te buscamos la pieza o pídenos el código: 103492. con la referencia de la pieza o llamarnos. también whatsapp. Nós podemos verificar isso. Referencia : 0281002435. con la referencia de la pieza o llamarnos. también whatsapp. Desguaces La Piña te garantiza recambios originales para obtener la máxima seguridad y fiabilidad. Nós podemos verificar isso. FOR PORSCHE CAYENNE 955 9PA 3.2 3.6 4.5 4.8 PETROL IN-TANK FUEL PUMP. Porsche Cayenne 955 3.2. Porsche Cayenne -- 3.6. Porsche Cayenne 955 3.6. Porsche Cayenne -- 4.8 GTS. Porsche Cayenne -- 4.8 S. Car : PORSCHE. Audi Q7 2006/08-2010/05 3.6L Benzin Links und Rechts. Audi Q7 2006/03-2010/05 4.2L Benzin Links und Rechts. Porsche Cayenne 2003/10-2007/09 3.2L Benzin Links und Rechts. Porsche Cayenne 2007/02-2018/12 3.6L Benzin Links und Rechts. PORSCHE 944 2.5 Fuel Pump In Line 81 to 88 Bosch. PORSCHE 911 3.2 Coupe Petrol 08/1986 08/1989 RWD 12 218 160. PORSCHE 911 3.2 SC Carrera Coupe Petrol 08/1983 08/1989 RWD 12 231 170. PORSCHE 911 3.2 SC Carrera Coupe Petrol 02/1984 06/1987 RWD 12 207 152. Vauxhall / Opel. 08.89 - 07.90. VOLVO 740 Kombi 2.3 Turbo. VOLVO 740 2.3 Turbo. 08.86 - 07.89. 08.85 - 1 2.8 8. 0 1.8 5 - 1 2.8 5. VOLVO 740 (744) 2.0. BOMBA COMBUSTIBLE PORSCHE BOXSTER Básico, Año: 1997. Especialistas en BMW. Envios a toda España. Consultar precio. CAT autorizado. Nós podemos verificar isso. Wir können es überprüfen. Neue Kraftstoffpumpe / Benzinpumpe für. Daten: 12V / 0.35 Bar / 120L / Stunde. Es handelt sich um ein Neuteil. Referencia : 7L5906461A. Pide el código de pieza: 123321. Desguaces La Piña te garantiza recambios originales para obtener la máxima seguridad y fiabilidad. Envíos en 24-48horas. ¡ Llama ya ! o whatsapp o en nuestra web. Fuel Pump Type : Petrol. PORSCHE CAYENNE 955 (2002-2017). IN TANK FUEL PUMP. FUEL FEED UNIT. Manufacturer Part Numbers. All part numbers are for reference purpose only. 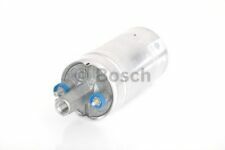 PORSCHE 928 4.7 Fuel Pump In Line 80 to 83 Bosch 91160810202. PORSCHE 91160810202. VW 431906091A, 91160810202. PORSCHE 924 2.0 Coupe Petrol 11/1975 08/1989 RWD 8 125 92. PORSCHE 928 4.5 Coupe Petrol 09/1977 08/1982 RWD 16 241 177. Porsche Cayenne 955 9pa Fuel Pumps Brand New. We’re bought for my cayenne but I ordered two lots these were not needed I was in a rush. Only opened box to take picture. grab a bargain this is for 2 pumps both sides of the tank Will fit all range of engines and also fit the VolkswagenTouareg. Any questions please ask Will be sent with a courier due to size of boxes so expect delivery to take a few days. PART NUMBER 7L0919087F. PORSCHE CAYENNE 955 4.5 V8 2003-2007 IN TANK FUEL PUMP SENDER UNIT. THIS DOES NOT INCLUDE ANY FORM OF LABOUR OR ANY OTHER LOSS. OEM Part Numbers : 0580464069 / 0580 464 069. Car : Porsche. Porsche 911 [1983-1989]. Porsche 924 [1981-1988]. Porsche 944 [1981-1991]. Porsche 968 [1991-1995]. For The Following Car Renault Espace [1991-1996]. Codice Magazzino : 4060. Porsche 924 2.0 92-125 1975/11-1985/06. Pompa Elettrica Carburante Benzina “Esterna”. Lunghezza totale pompa [mm]: 190 – lunghezza corpo pompa [mm]: 115. PORSCHE 92809460801 BOSCH 0580254968. Codice Magazzino : 4060. Pompa Elettrica Carburante Benzina “Esterna”. Lunghezza totale pompa [mm]: 190 – lunghezza corpo pompa [mm]: 115. PORSCHE 92809460801 BOSCH 0580254968. PORSCHE 92860810402 BOSCH 0580254970. PORSCHE 911 (993) 3.6 Carrera 993 [1993-1997] Coupe. Car : PORSCHE. Direct 2 Public. Compatability Chart is for the reference only. OEM Part Numbers before placing an order. All the information we have regarding the fitting is stated above. SYTEC / WALBRO MOTORSPORT UPGRADEFUEL PUMP KIT. Motorsport pump. Designed for Motorsport use. External Pump (out of tank). PUMP SPEC Max Pressure: 9.5bar. The pump can also be supplied with a range of different inlet/outlet fittings: 8mm, 12mm, 15mm, Bosch banjo, -6JIC, -8JIC, M12 for £3.99 extra. 1 x Kraftstoffpumpe. Marke Modell Plattform Typ Baujahr Motor passt nur für. Auf dem Paket ist die Rechnung als Adressaufkleber angebracht. Vorkasse: Sie überweisen den Gesamtbetrag an die von uns angegebene Bankverbindung. Marke Modell Serie Baujahr Motor Motorcode. Porsche Cayenne 955 2007/02-2010/09 V6 3.6 L M 55.01. Porsche Cayenne 955 2007/02-2010/09 V8 4.8 L M 48.01. Porsche Cayenne 955 2007/10-2010/09 V8 4.8 L. Qualifizierte Experte im Autoteile Bereich. Anti Roll Bar link. CAYENNE (955). CAYENNE (92A). Trailing Arm Bushes. AB31to>38, AB43to>56, BT>ALL, FK19to>21, IM>ALL, IV>ALL. Windscreen Wiper Motors. Lower Ball. Compare our image with others and you will see the DIFFERENCE. Make Modell Serie Baujahr Motor Motorcode. Porsche Cayenne 955 2007/02-2010/09 V6 3.6 L M 55.01. Porsche Cayenne 955 2007/02-2010/09 V8 4.8 L M 48.01. 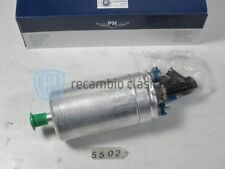 Porsche Cayenne 955 2007/10-2010/09 V8 4.8 L. Porsche Cayenne 955 2007/02-2010/09 V8 4.8 L M 48.51. 08.89 - 07.90. VOLVO 740 Kombi 2.3 Turbo. VOLVO 740 2.3 Turbo. 08.86 - 07.89. 08.85 - 12.88. 01.85 - 12.85. VOLVO 740 (744) 2.0. 01.86 - 08.90. Audi Q7 2006/08-2010/05 3.6L Benzin Rechts. Audi Q7 2006/03-2010/05 4.2L Benzin Rechts. Porsche Cayenne 2003/10-2007/09 3.2L Benzin Rechts. Porsche Cayenne 2007/02-2018/12 3.6L Benzin Rechts. Porsche Cayenne 2002/09-2007/09 4.5L Benzin Rechts. PART NUMBER: MAM00085. 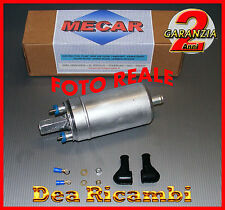 MAGNETI MARELLI UNIVERSAL FUEL PUMP. TRAFIC Bus(TXW) / 1989.06 - 2001.03. MASTER I Bus(T__) / 1980.08 - 1998.07. Magneti Marelli is an international Group committed to the design and production of hi-tech systems and components for the automotive sector. To Fit: All Cayenne 3.2 3.6 4.5 4.8 S Turbo GTS (2002-Onwards). Porsche Fuel Pump. Car: Porsche. Part: Fuel Pump Left. 95562093200, 95562093201, A2C53377801Z. Porsche Cayenne 9PA Turbo S 4.5. Porsche Cayenne 955 3.6. Porsche Cayenne 955 Turbo S 4.5. Porsche Cayenne 955 Turbo S. Porsche Cayenne 955 Turbo S 4.8. Porsche Cayenne 955 GTS 4.8. Codice Magazzino : 4060. Applicazioni : PORSCHE 911 (993) CARRERA. Porsche 911 993 3.6 Carrera 200-272 1993/10-1995/08. Porsche 911 993 3.6 Carrera 210-286 1995/08-1997/09. Porsche 911 993 3.6 Carrera 4 200-272 1994/07-1995/08. SYTEC / WALBRO MOTORSPORT ACTUALIZACIÓNkit de la bomba de combustible. Bomba de Motorsport. Bomba externa (fuera del tanque). BOMBA DE ESPECIFICACIONES 924 2.0 Turbo 1980-1983. 944S / 2.5 Turbo 1985 - en. 95562093200 / A2C53377801Z / 95562093201. Porsche Cayenne 9PA [2002-2010]. Porsche Cayenne 92A [2010-2014]. Porsche Cayenne 955 [2002-2010]. Fuel Type : Petrol. Car : Porsche. Fitting Position : Right. 95562093100, 95562093101, A2C53377802Z. Porsche Cayenne 9PA Turbo S 4.5. Porsche Cayenne 955 Turbo S 4.8. Porsche Cayenne 955 3.2. Porsche Cayenne 955 3.6. Porsche Cayenne 955 GTS 4.8. Porsche Cayenne 955 S 4.5. Audi Q7 2006/08-2010/05 3.6L Benzin Links. Audi Q7 2006/03-2010/05 4.2L Benzin Links. Porsche Cayenne 2003/10-2007/09 3.2L Benzin Links. Porsche Cayenne 2007/02-2018/12 3.6L Benzin Links. Porsche Cayenne 2002/09-2007/09 4.5L Benzin Links. Porsche 928 5.0 SS4 235-320 1986/08-1991/07. Codice Magazzino : 4004. Applicazioni : PORSCHE 928. Porsche 928 4.5 177-241 1977/09-1982/08. Porsche 928 4.7 S 228-310 1983/08-1986/07. Lunghezza totale pompa [mm]: 115 – lunghezza corpo pompa [mm]: 63. 3.2 Petrol 1963-01 - 1990-11 3164 160 218. 3.2 SC Carrera Petrol 1963-01 - 1990-11 3164 152 207. 3.2 SC Carrera Petrol 1963-01 - 1990-11 3164 170 231. 3.1 Carrera Speedster Petrol 1982-08 - 1989-08 3164 160 218. Porsche 911 / 924 / 944 bomba Bosch. Probado, funciona bien. Nosotros combinan el envío así. Al realizar un pedido desde los EE.